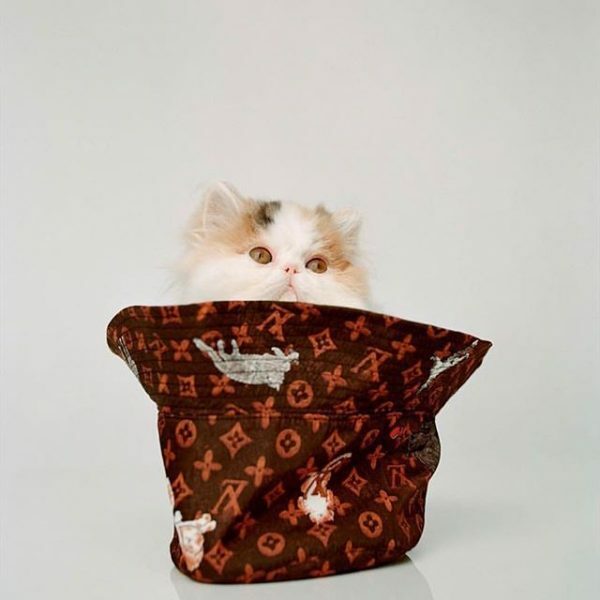 You are currently browsing the archives for the tag 'louis vuitton'. 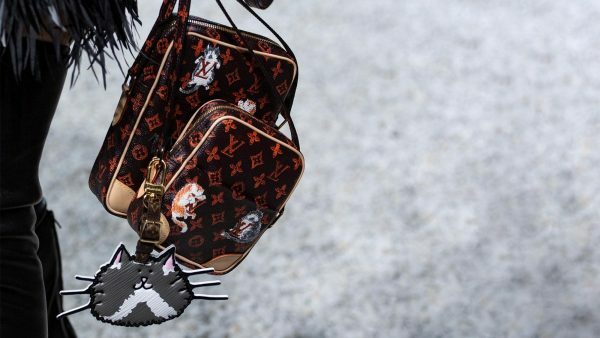 For F/W 2019, LOUIS VUITTON accessories stylishly combine many of the House’s iconic codes. The timeless Monogram shawl asserts a new freedom and can be worn in versatile ways. Reinterpreted in a tie-dye version, it celebrates the colours of an Indian summer. 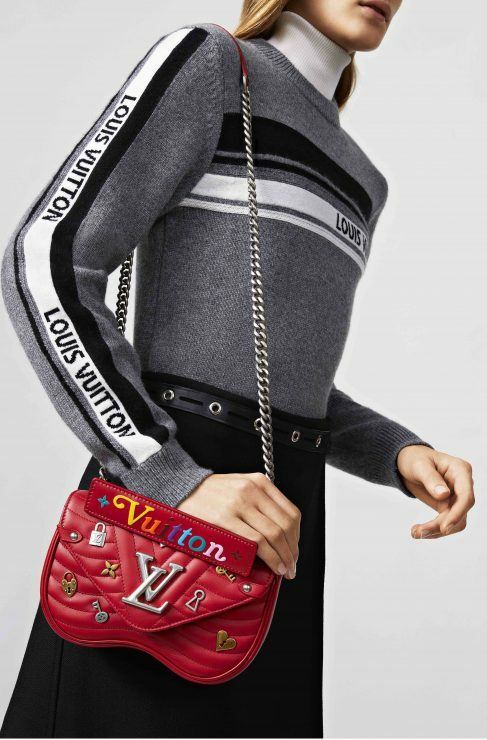 Highlighted with 3D technical appliqué details for a trompel’oeil effect with Louis Vuitton’s signature motifs or in appliquéd silk with a pop upcycling vibe, it reinvents the concept of patchwork craftsmanship. An oversized scarf in double-faced, pleated silk beautifully enhances the look. Twisted silk also features on costume jewellery, including fine bracelets adorned with charms and a featherweight choker. 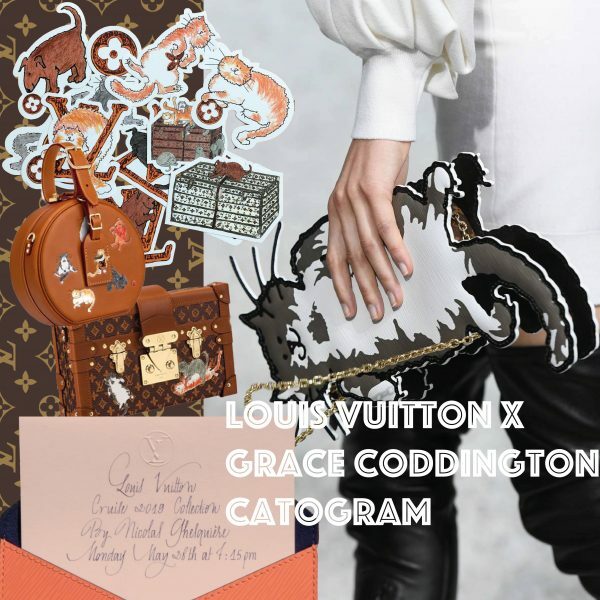 The fashion jewellery plays with Louis Vuitton’s signatures. Worn on its own as an XL statement piece or in a mini-sized pair, an earring teams the House’s V with semi-precious stones. 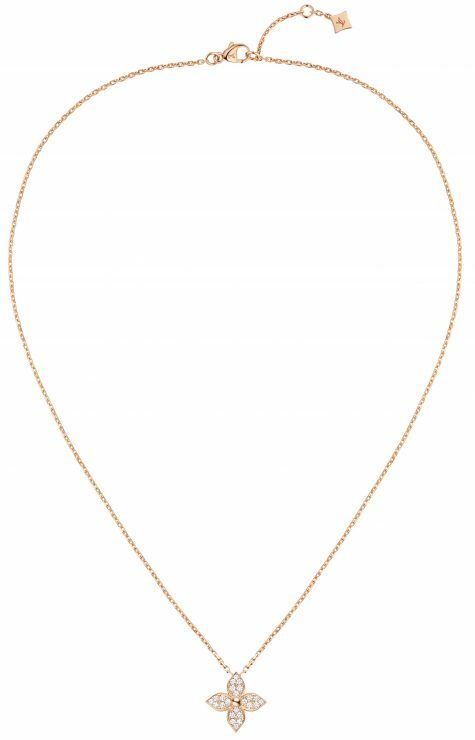 Long and short necklaces, worn on their own or layered, combine enamelled and diamanté heraldry charms, whose links are inspired by trunk locks. I personally adore this three ring set. Such a cool accessory. A new accessory, the iPhone case hangs around the neck like an authentic high-tech silicone jewel. The sunglasses boast a sculptural form. A real technical feat, this featherweight, moulded design propels accessories into the future. in four colourway: black, white and red Monogram or yellow and blue LV stripes. The architecture of the charging case harmoniously mirrors the shape of the Tambour Horizon watch with its contemporary, concave lines. 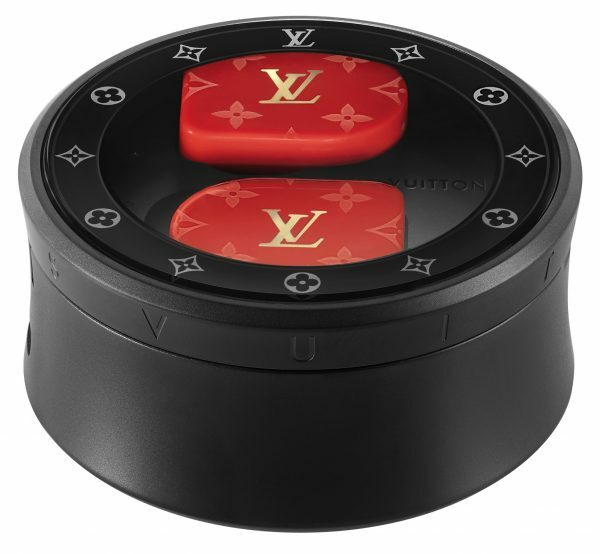 Available in white for the Louis Vuitton Horizon White Monogram earphones and black for the other three finishes, the charging case provides the earphones with a total of 10 hours of battery life. A single charge will give 3.5 hours of listening time. The volume is adjusted directly on one of the earphones, giving you the freedom to communicate and listen to playlists on the go, making them ideal for both everyday commutes and longer journeys. 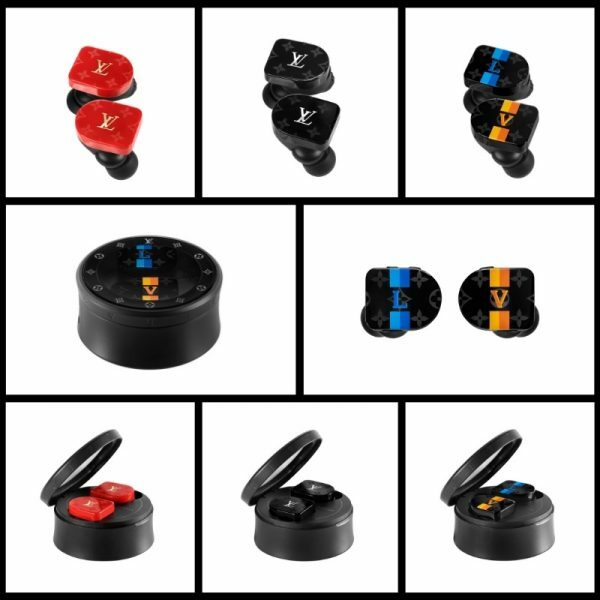 The Louis Vuitton Horizon earphones have one of the best audio qualities ever achieved in the field, using a system developed by specialist Master & Dynamic. This new Louis Vuitton-designed lifestyle accessory works with all Bluetooth© devices, as well as with the Tambour Horizon smart watch. 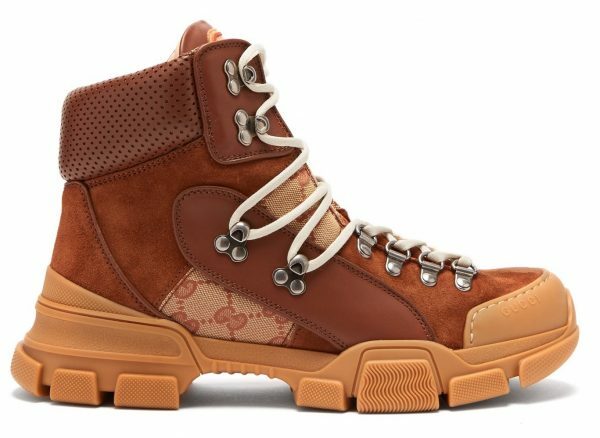 Louis Vuitton extends its New Wave collection in February. Whether tender, passionate or more classic, three shades champion the colours of love. Perfect gifts for Valentine’s Day! The Heart bag embraces the universal heart shape as a versatile symbol to make your own. A removable shoulder strap, leather handle and a loop on the back allow it to be carried in three different ways: over the shoulder, clutch-style in the hand, or on a belt. 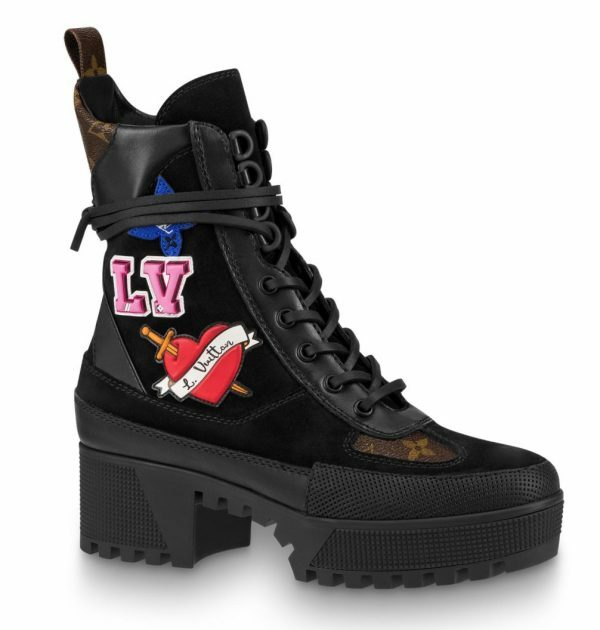 The LV Love locks accent the quilted leather of the Louis Vuitton New Wave line. A host of fun symbols – metallic padlocks, keys and locks – punctuate the small and large – Chain bag, the Heart bag and even the wallets. 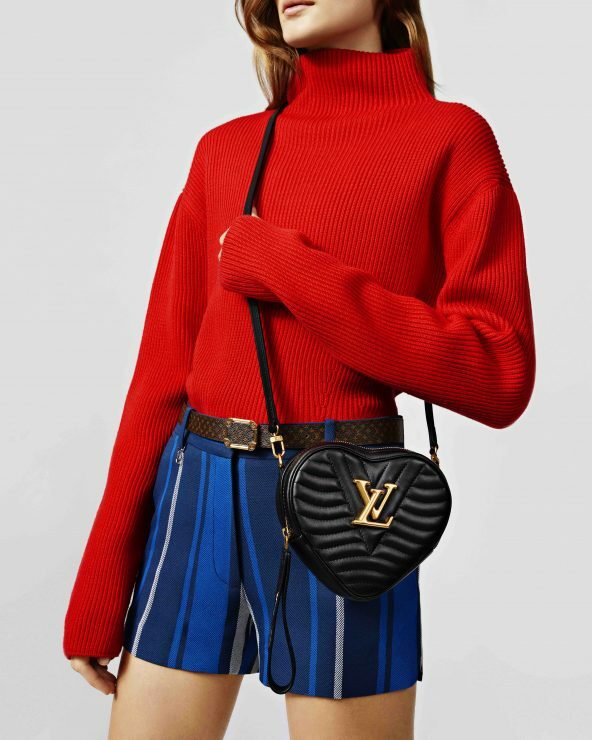 The Heart bag comes in blush pink and scarlet with the LV Love locks, while its black version simply sports the LV signature. 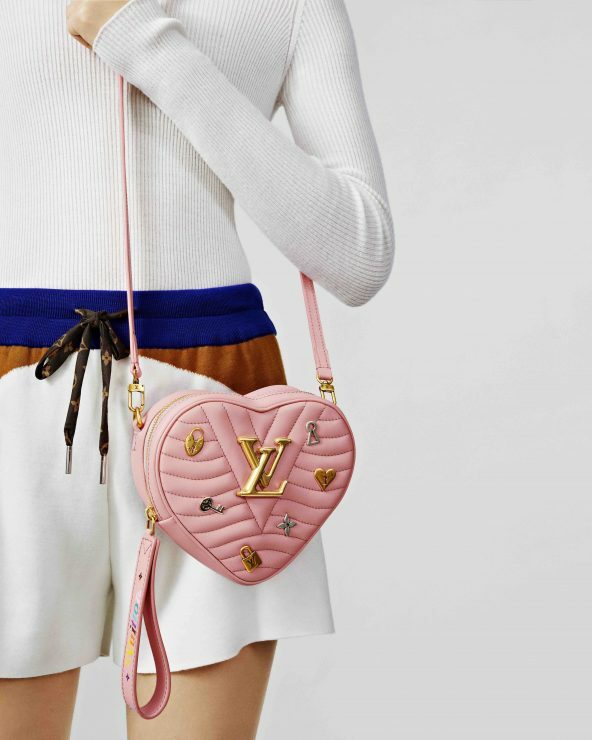 The blush pink Heart bag with the LV signature is exclusively available online. 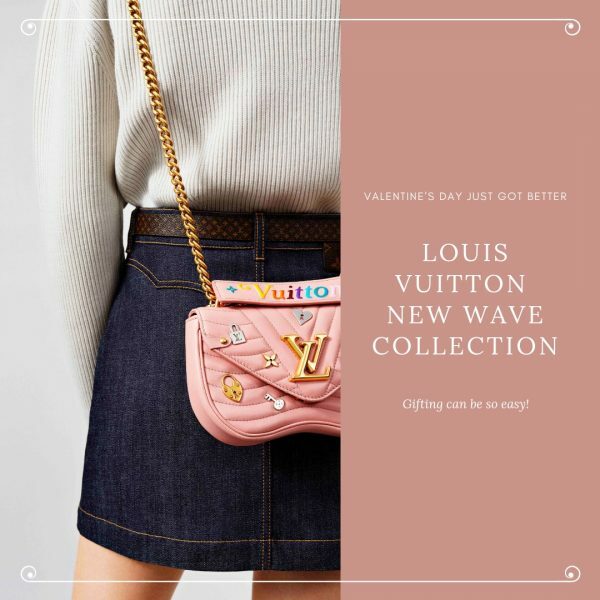 Enlivened with LV Love locks, the small Chain bag in scarlet and the large Chain bags in blush pink and black bring their colourful energy to this festival of love. 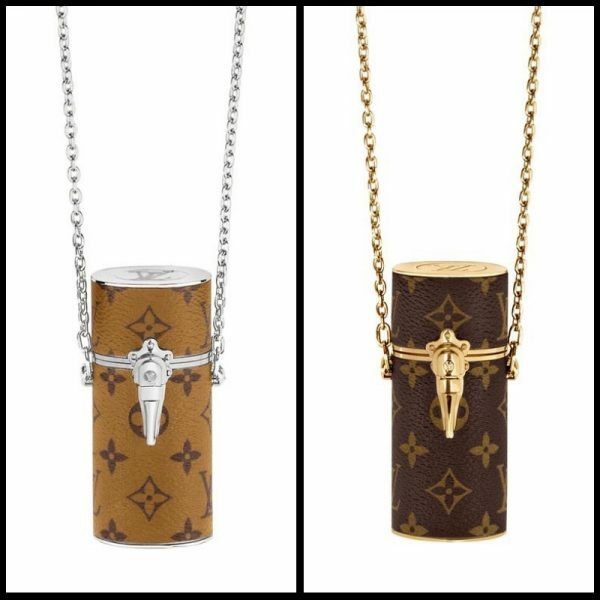 Imprinted in the Maison Louis Vuitton’s heart since its beginnings, travel consistently informs the house’s olfactory creations. It’s a state of mind that’s ever poised to venture out and conquer the world, with an insatiable curiosity, and a lightness of being, that embraces discovery — and it serves as a continuous inspiration for Master Perfumer Jacques Cavallier Belletrud. 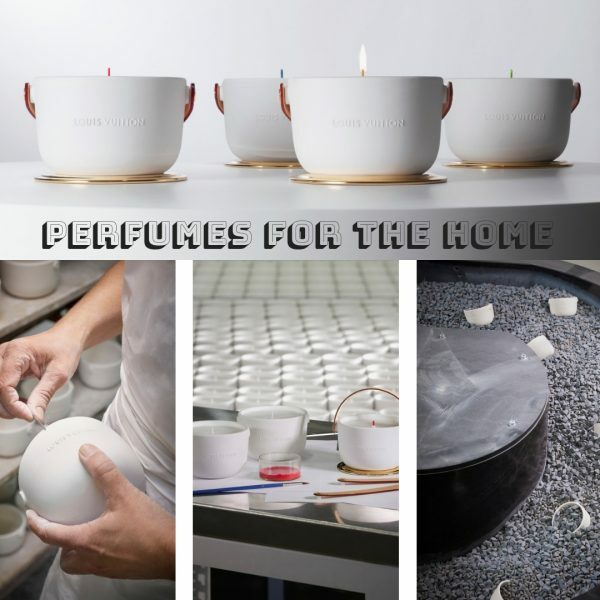 After creating a first collection of women’s fragrances in 2016, which was followed by a range of men’s fragrances in 2018, the perfumer has mastered a new journey: four scented candles that transforms the home into another ambiance. As a source of inspiration, movement is the Maison’s common thread from their very first trunks, through to their ready-to-wear and fragrances. 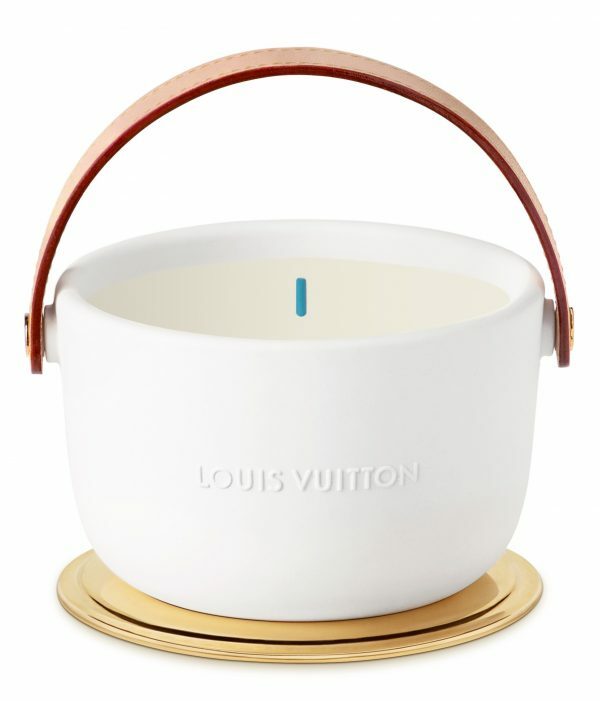 With this in mind, Marc Newson aspired to contribute to Louis Vuitton’s first scented candles. Cast in handmade ceramic, these containers have a unique form. 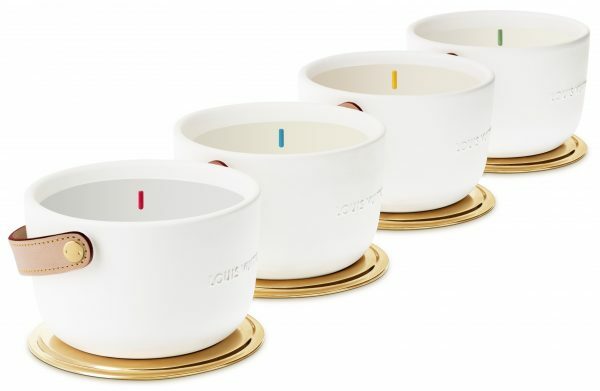 Created with portable convenience in mind, these candles are made with a natural leather handle. 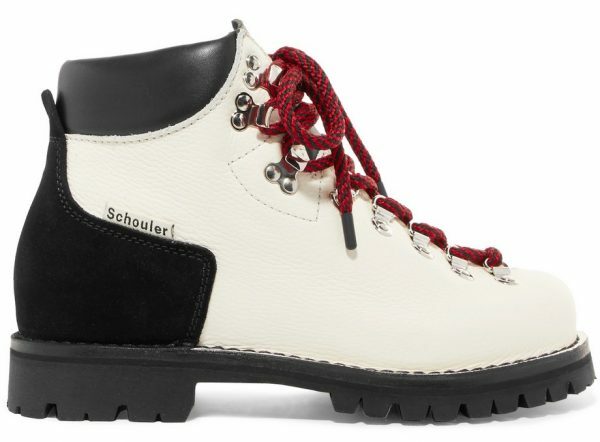 The hand-sewn handle is secured to the ceramic with metal rivets. 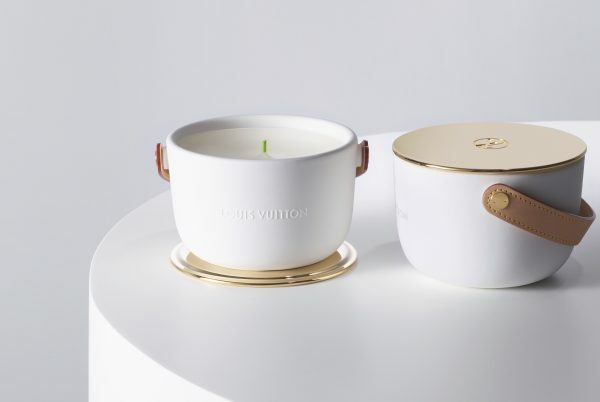 To embark on an olfactory journey, one can remove the gold-finished metal lid and place it underneath the candle, as a base. 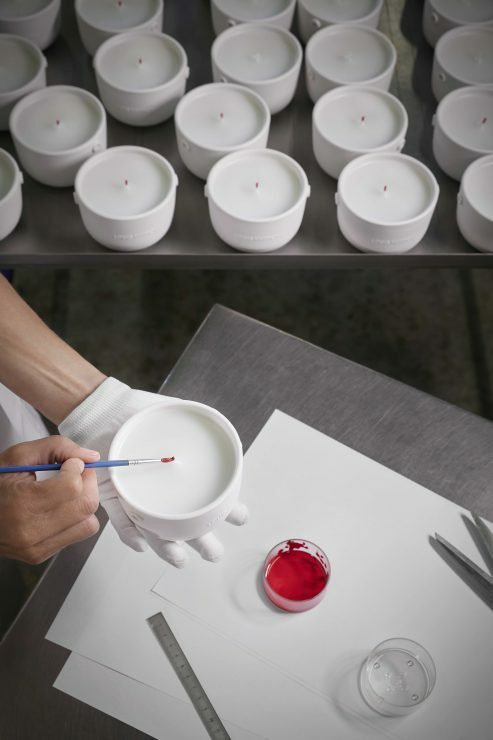 Discovering the fragrant wax poured in Grasse, France, with a colorful detail: a wick coated in a subtle touch of vibrant pigment, also hand painted in Grasse. 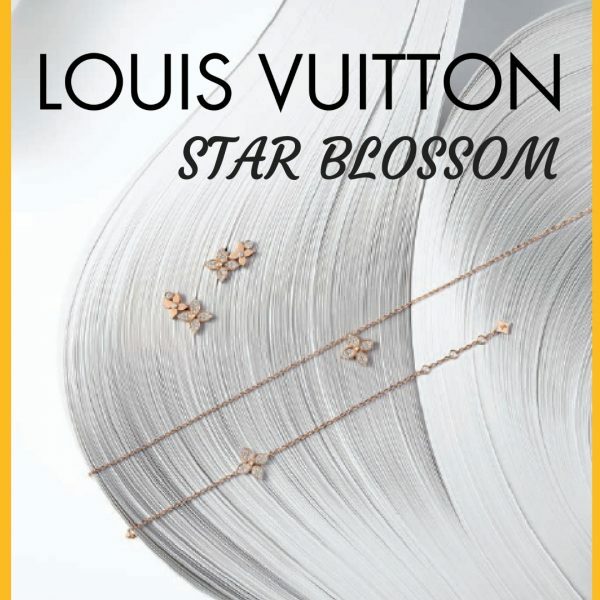 Let me introduce you to LOUIS VUITTON Star Blossom – an easy-to-wear jewellery collection that celebrates the Monogram Flower against a background of rose gold and diamonds. 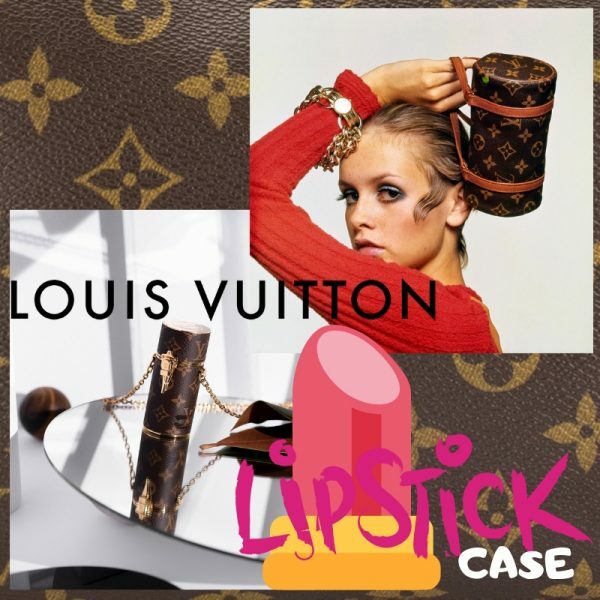 A legendary motif, created in 1896 by Georges Vuitton. Recognisable, simple, current… This star-like flower becomes a talisman. 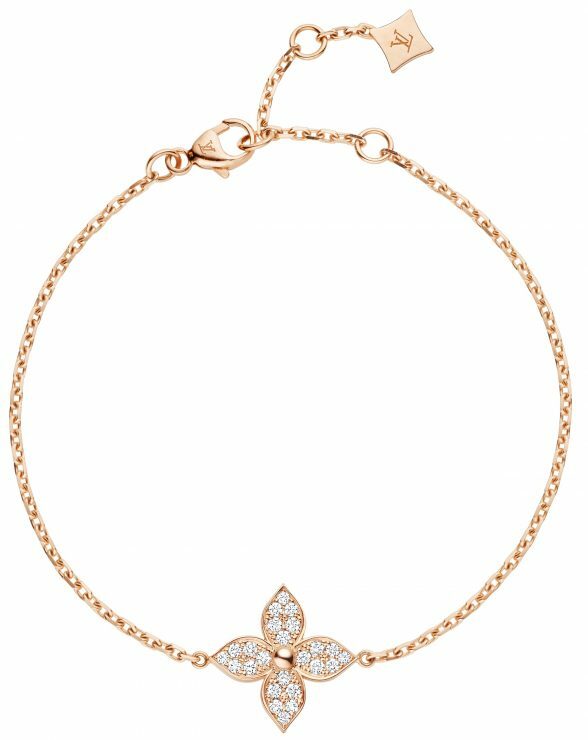 Its four petals form a lucky charm and reappear endlessly in all their elegance and sophistication. Featured on pendants, earrings, rings and bracelets, women can make it their own by wearing, layering and stacking it. A precious and casual way to reveal your personality and change your style to suit your mood. 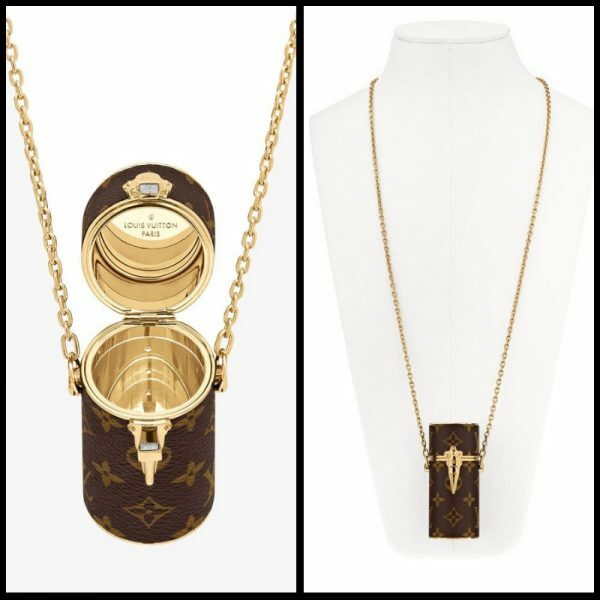 In 2012, Louis Vuitton has obtained RJC certification confirming the everyday application of the moral, social, societal and environmental principles championed by the Responsible Jewellery Council, throughout the lifespan of its watches and jewellery products, from the extraction of the precious stones and metals to their distribution, through their transformation by our craftsmen. So so beautiful … I am in love and you? 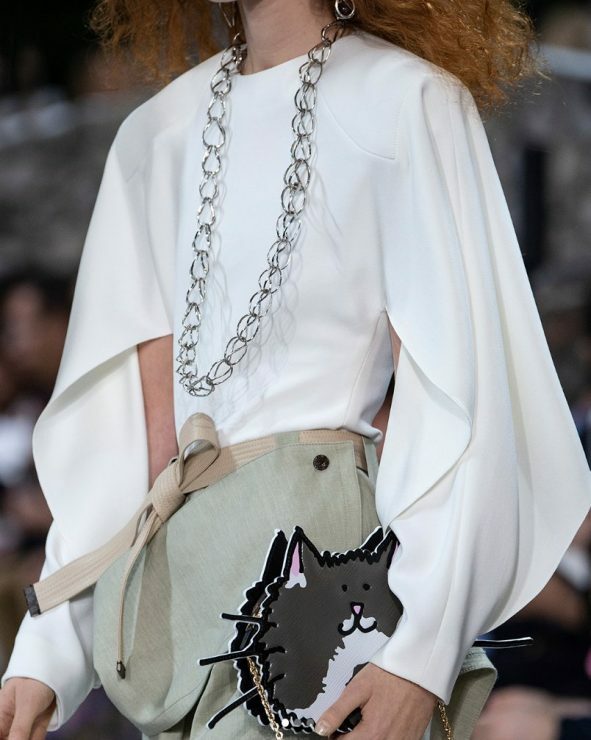 At LOUIS VUITTON’s Cruise 2019 catwalk show amidst the Mirós and Giacomettis of Saint-Paul-de-Vence’s Fondation Maeght, Nicolas Ghesquière, artistic director of women’s collections, presented a too-die-for collaboration with Vogue contributing editor Grace Coddington. Nicolas Ghesquière and Grace Coddington in a silk pyjama set from the collaboration at the Louis Vuitton Cruise 2019 show last May. 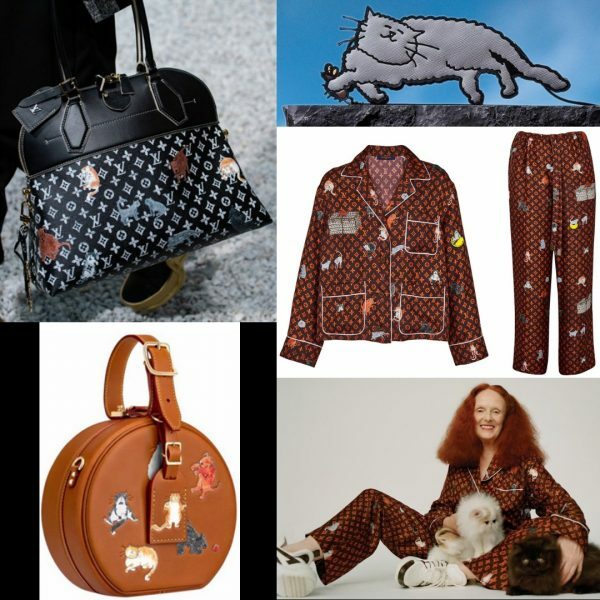 The line sees the famous redhead putting her spin on the brand’s iconic monogram pattern, embellishing it with illustrations of her two cats, Pumpkin and Blanket. 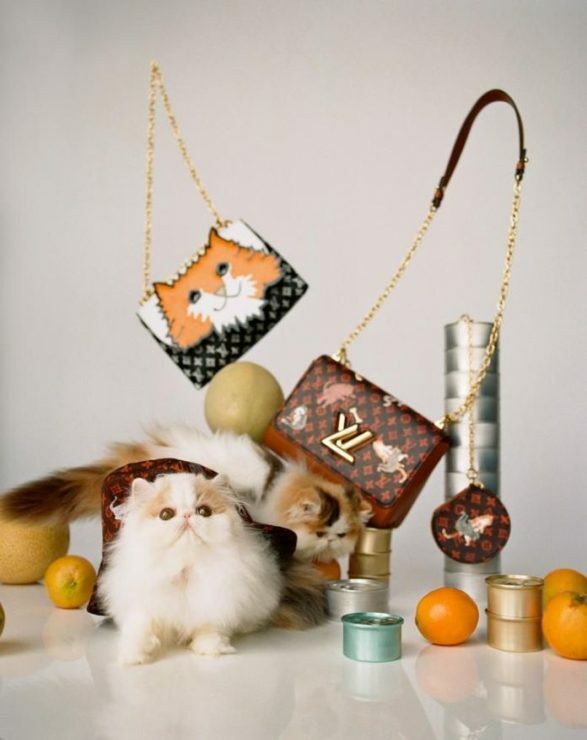 Moreover her designer friend’s dog Léon finishes off the animalistic collection that also includes patent leather bags in the cartoony shapes. I love every single piece! 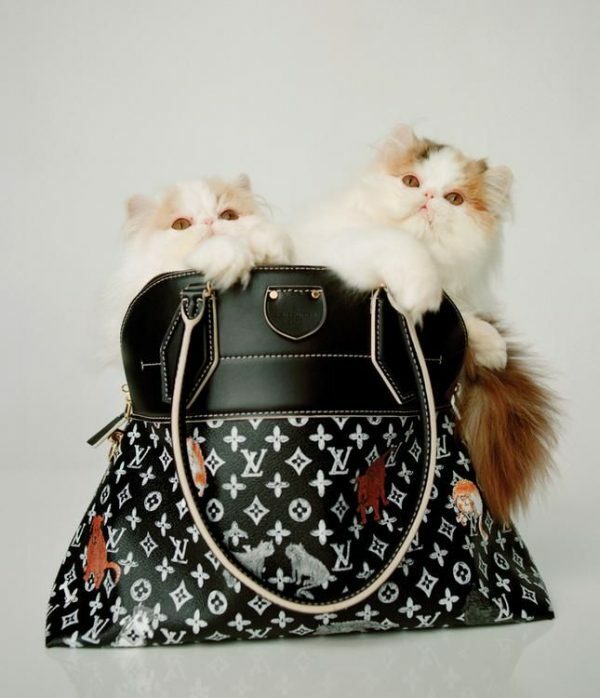 The full range of items, including handbags, leather goods, and ready-to-wear, will arrive in Louis Vuitton stores in October. Guess who didn’t bring flats or socks, but managed to pack the peep-toes? This has probably lost you a few friends in past days. But those times are over. 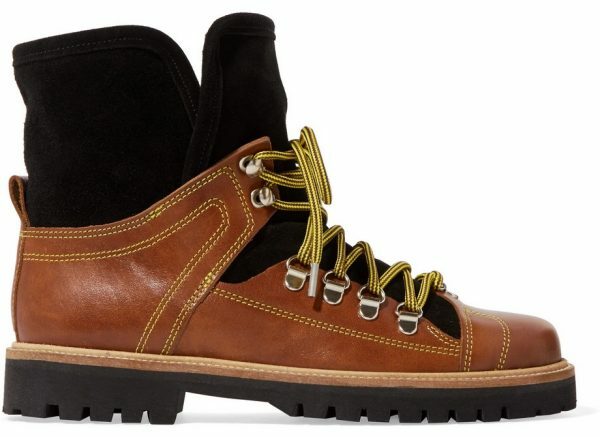 For fall, we’re going up — to the mountain that is. 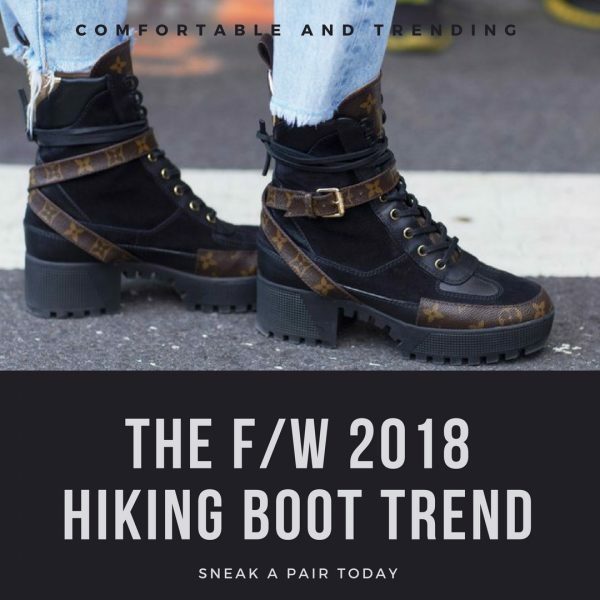 Hiking boots are one of the biggest footwear trends of the season and they’re giving traditional western, motorcycle and knee-high boots some competition. 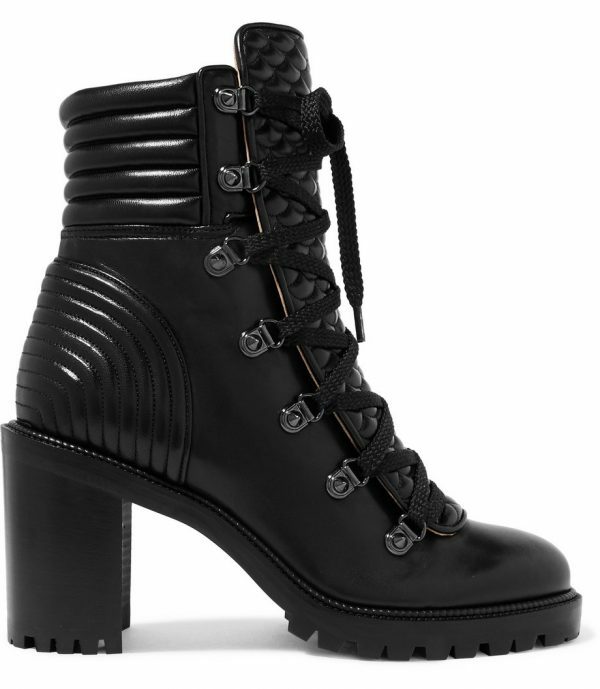 The boots have certainly gained traction in the past few months. 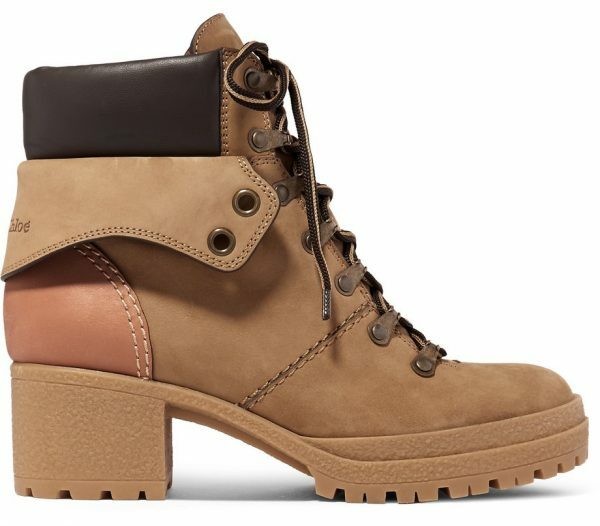 There’s Gucci’s Flashtreck sneaker which is flying off the shelves and there’s Off-White’s collaboration with Timberland, which spawns a pair of gorgeously stompy velvet boots, a unique take on the classic footwear staple. 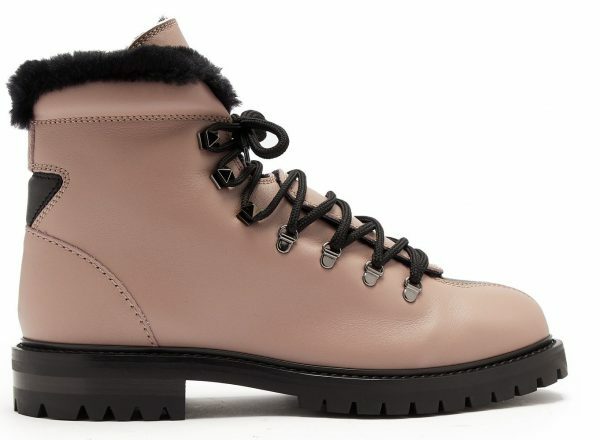 How to style them: Fashionistas all over the globe don’t save them for days with severe weather warnings only. 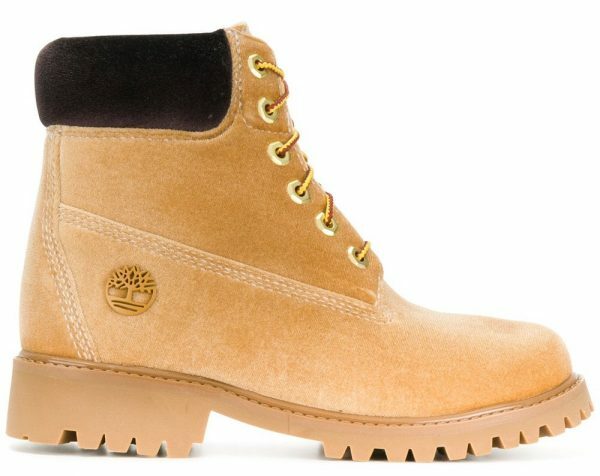 They wear them year-round with everything from jeans and corduroys to silk dresses.